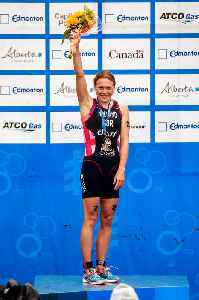 Vicky Holland is an English triathlete who is part of the Great Britain Olympic team, a 2-time World Mixed Team Champion and the 2018 ITU WTS champion. She was born in Gloucester. She is the first female triathlete to win an Olympic medal for Great Britain, a bronze in 2016.